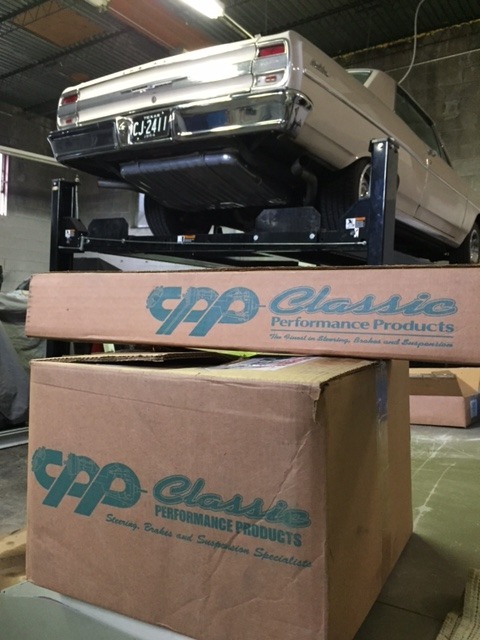 We’re really excited to get to work on our ‘64 Chevelle with a complete 4-wheel disc brake kit from Classic Performance Parts. We’ve been stopping this first year Chevelle with the factory single pot master cylinder and 4-drum manual brakes for far too long. The CPP kit appears to be complete with everything we’ll need to make the swap including the power brake booster, combination valve and all the components. The kit is even designed to work with our 15-inch Ralley wheels! We’ll give you an update when we’re up and stopping!